On the kitchen shelf of The Old Hotel are cookbooks from around the world. There are several books on chocolate, Mexican, Japanese, Chinese and Mediterranean cuisines and, the most apt for the cooking style of owners Paula and Bill Kinoshita, the tome How to Cook Everything. 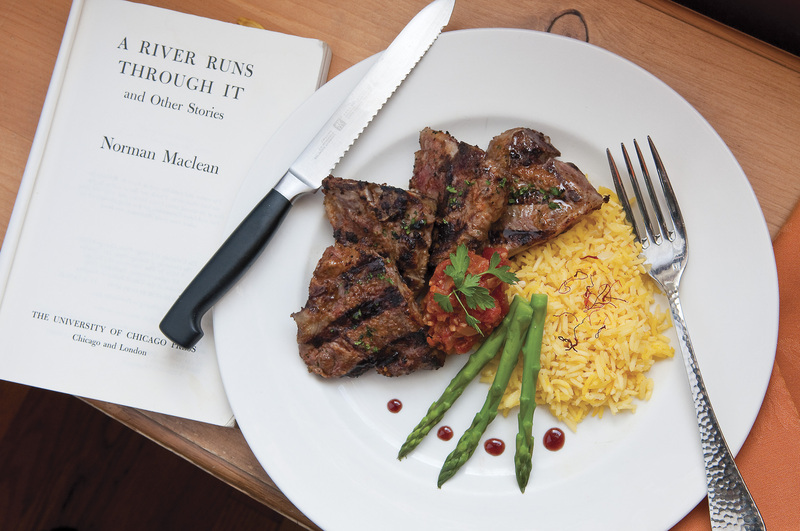 Both chefs, Paula and Bill, use the cookbooks as inspiration for the eclectic bill of fare served at their restaurant in Twin Bridges, Mont. 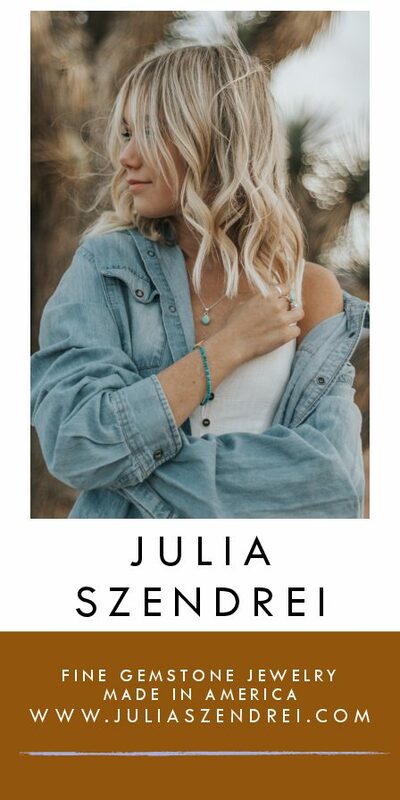 The Old Hotel, built in 1879, remains a cornerstone of this tiny farming town with a population just under 500, notable to fly anglers as the juncture where the Ruby and Big Hole rivers join with the Beaverhead to form the Jefferson River. The three-story brick building was restored by the previous owner, Jane Waldie, in 1996 and was converted to a bed and breakfast; although even then it made its mark with a restaurant that drew visitors and locals from the surrounding country. Paula and Bill like to say that The Old Hotel found them. After vacationing in Montana several times, the newly married couple was ready for an adventure away from Hawaii. Six years ago, they placed ads in local papers looking for job opportunities. Jane Waldie answered the ad and Paula soon began cooking at The Old Hotel. As a trained mechanic, Bill worked at an adventure motor sport shop in Dillon, and postponed school once they bought The Old Hotel. After a few years, the Kinoshitas took a chance and bought the place from Waldie. They continued her tradition of preparing fresh, homemade cuisine, while adding a little Pacific Rim and world flavor to it. They brought their aloha spirit with them, which translates to love in every dish. The menu changes weekly — at any given time there can be offerings that range from Le Cordon Bleu classics, including prosciutto and chicken Wellington; grilled rib eye steak with Hollandaise or black coffee BBQ sauce; Korean pork wontons; Italian style crepes. 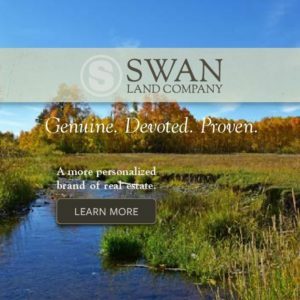 They use local ingredients whenever possible, make every sauce from scratch and don’t hesitate when it comes to combining flavors or cultures. 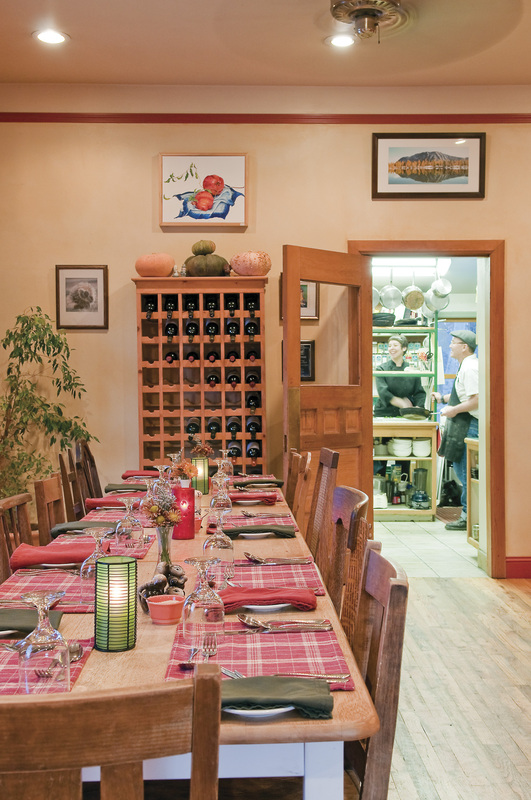 “It’s a little bit of us, it’s a little bit of Montana — it’s The Old Hotel,” says chef Paula as she describes the food at this off-the-beaten-path eatery. Like a breath of fresh air, the Kinoshitas bring their own brand of cooking to tiny Twin Bridges. In Hawaii Paula trained in the culinary arts at Kapiolani Community College. Bill had a lifelong dream of being a chef, and worked his way through every facet of a real-world kitchen in a variety of restaurants. Together they share a vision of exotic flavors that are approachable and hearty. “Our menu is an opportunity to experiment and expose people to new flavors,” Paula explains. Energetic and friendly, Paula is markedly hip wearing a black chef’s coat, Doc Martens and wearing her dark hair in a smart short cut. Her smile is disarming and her love of food is contagious. She and Bill share the duties when it comes to recipe development, kitchen prep and overall cooking. They share every aspect of the business and quite simply love what they do.A perfect example of The Old Hotel’s experimental approach shines with a signature dish (regulars ask for it when they call for reservations): Cowboy Sushi. It’s a fusion of West-meets-East, a classic nigiri roll filled with rice, thinly sliced vegetables and Bill’s own barbecue beef in place of raw fish; then the roll is dipped in a light tempura batter, fried and served with a red chili aioli instead of wasabi and soy sauce. The result is a delectable explosion of sweet, savory, crunchy and soft; it’s the solution to the sad fact that sushi-grade fish is hard to come by in Montana. Paula cautions that the exotic spices and sauces may sound intimidating to the uninitiated, but there are plenty of dishes for folks with a simpler palate, too. A classic Sunday brunch is popular and the main dinner menu offers a rotation of filet mignon, braised buffalo, chicken, lamb and seasonal fish with broad appeal. The carefully selected wine list features vintages from around the world and also close by, from California, Oregon and Washington. Paula has a working knowledge of wine and food pairing for customers who may wonder how to choose a wine that matches some of the more unusual dishes on the menu. Walking into the restaurant feels comfortable and homey. The warm colored walls, old hardwood floors, double-hung windows and smattering of antiques offer a blend of folksy, country charm that is ultimately welcoming. With not more than 10 tables, the space is cozy and the service is always personable. Upstairs, two guest rooms are available for overnight stays. Though the accommodations are plain, the best amenities are the breakfast that’s included and the company of the gracious hosts and their sidekick pup, Tommy. To dine at The Old Hotel is to become a friend of the Kinoshitas. 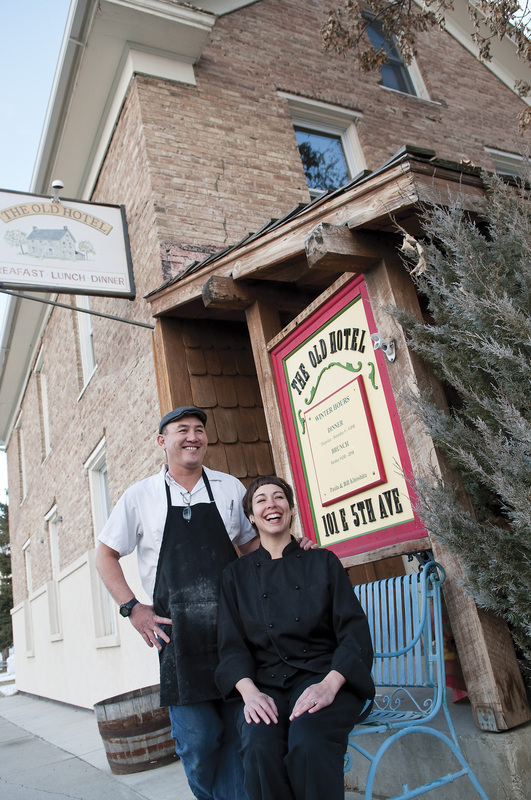 The affable couple’s passion for their industry and exuberance for Montana is intoxicating. Regular customers often enter through the kitchen door and chat before taking a seat in the dining room. Paula and Bill live on the third floor, so more than one visit here quickly feels like dropping in on old friends. 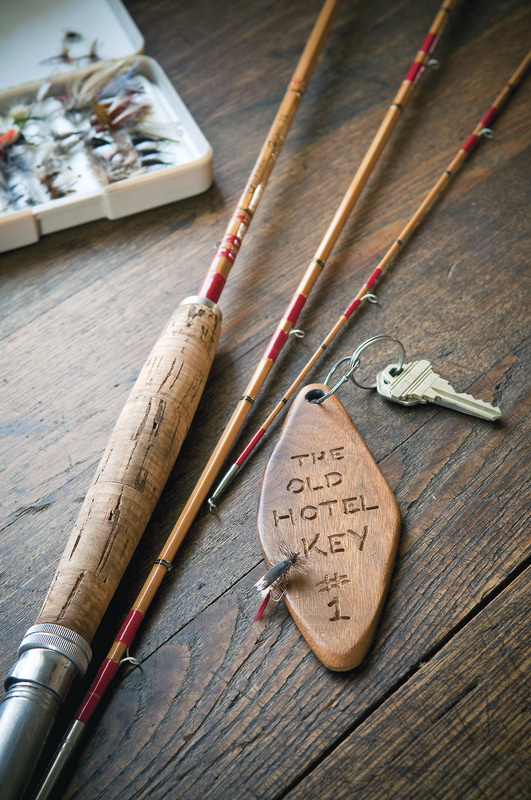 Open year-round, The Old Hotel is a favorite for fisherman who cast out on the Big Hole, the Ruby or the Jefferson. But whether or not the fishing is on, any given night folks from Bozeman, Missoula, Big Sky, Dillon and Livingston come to eat. It’s worth the drive. The guarantee is that you won’t leave hungry and you just might talk Bill into giving you the recipe for his Cowboy Sushi. Pulse onion in food processor until coarsely ground. Add spices and olive oil and pulse to combine. Stir in parsley and season with salt and pepper. Rub mixture on lamb racks and marinate for at least 2 hours, but preferably overnight. In a medium-sized sauté pan, heat olive oil over medium high heat. Add onion and cook until slightly translucent but not browned — approximately 2-3 minutes. Reduce heat to medium and add garlic, tomatoes, Harissa, and sugar and stir to combine. Cover pan, reduce heat to low, and simmer for approximately 20 minutes. When sauce is reduced, season with salt and pepper and reserve for meat. The Old Hotel restaurant and rooms are synonymous to seasoned anglers who make Twin Bridges a base camp for fishing trips. The dining room at The Old Hotel is warm, inviting and the kitchen is open to guests that want to look in on their favorite chefs. 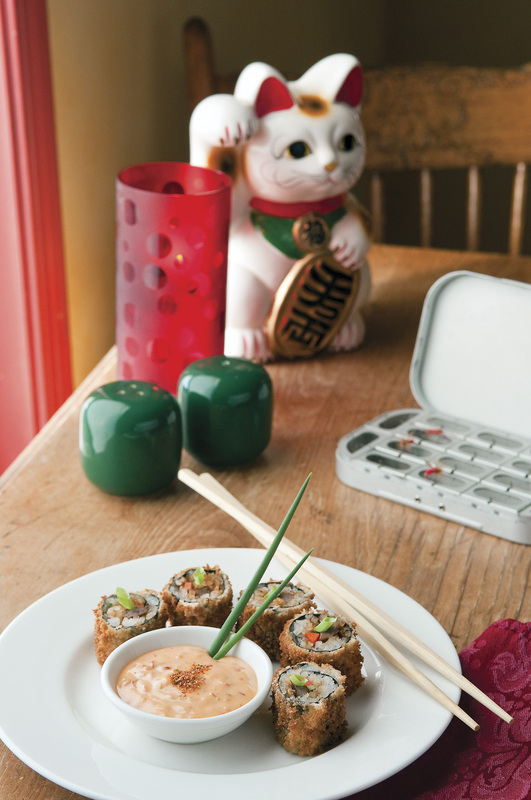 Cowboy Sushi is a signature dish in the restaurant at The Old Hotel. 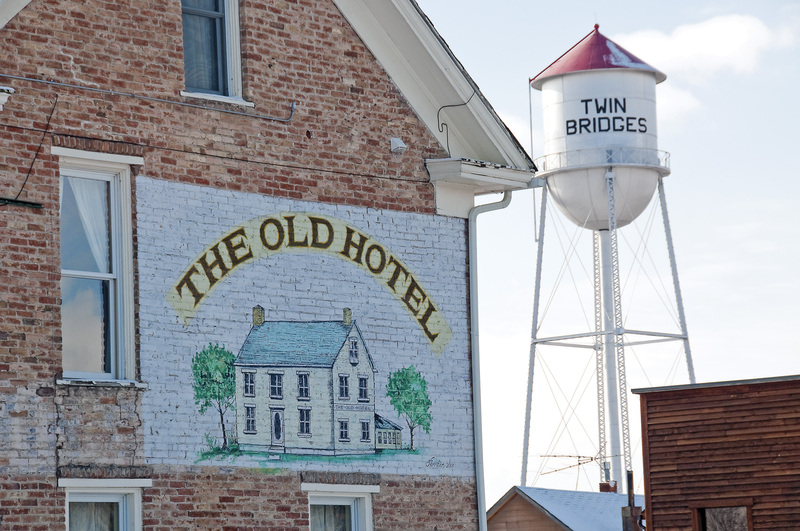 Built in 1879, The Old Hotel was originally the Twin Bridges Hotel; the classic three-story building is a timeless landmark in the western Montana town.